This is a fun, try-at-home science experiment that will get budding chemists very excited! When vinegar and baking soda come in contact, carbon dioxide is formed. Teach your kids all about this important gas with the help of this free printable science experiment. 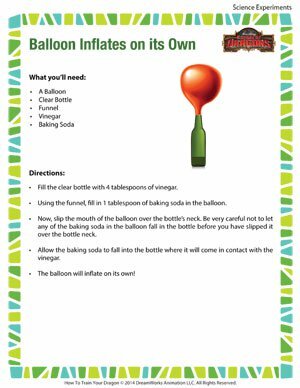 Try out more such science experiments for kids to make teaching science fun!